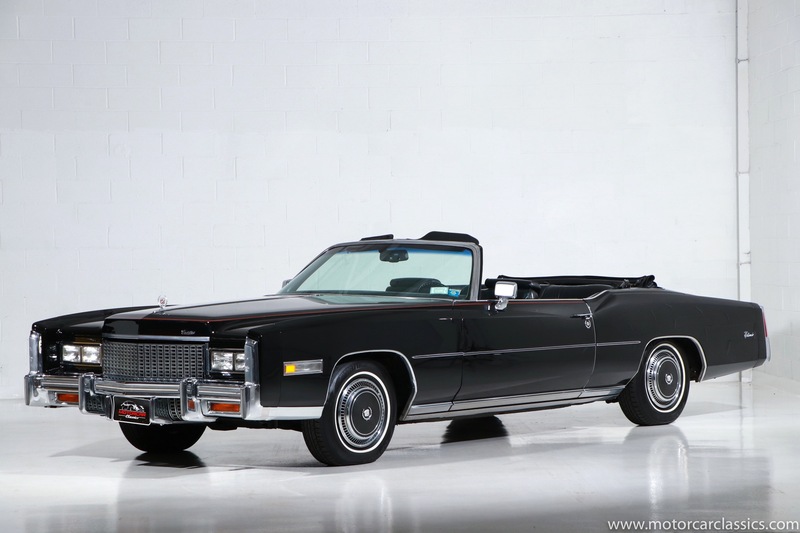 1976 CADILLAC ELDORADO CONVERTIBLE for sale. 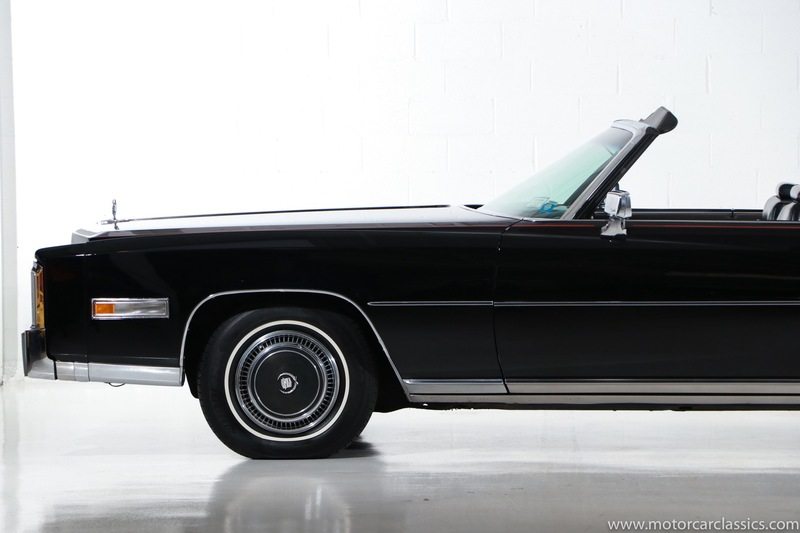 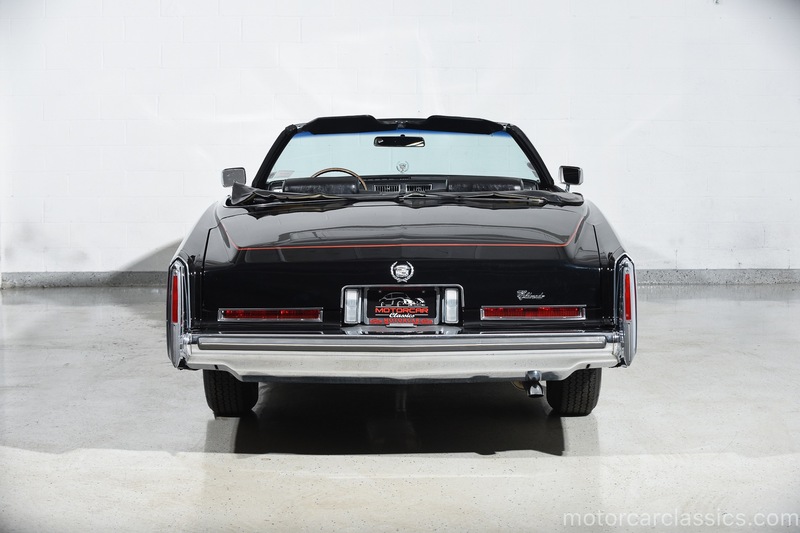 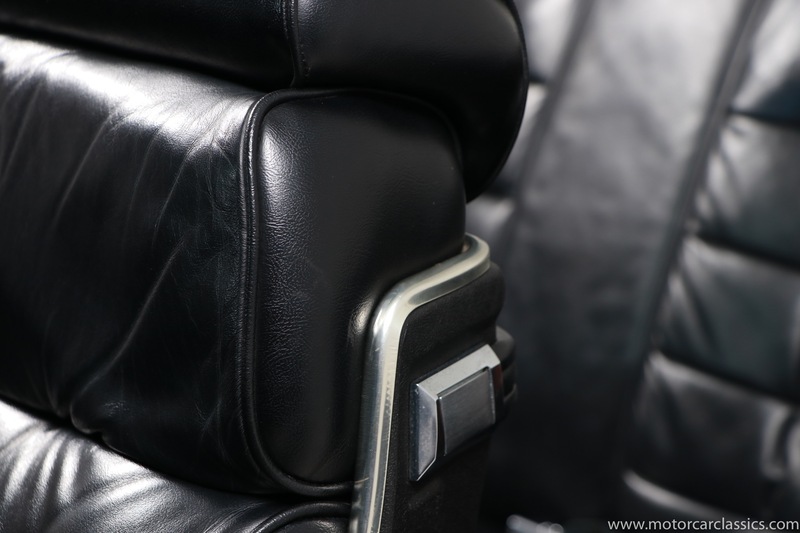 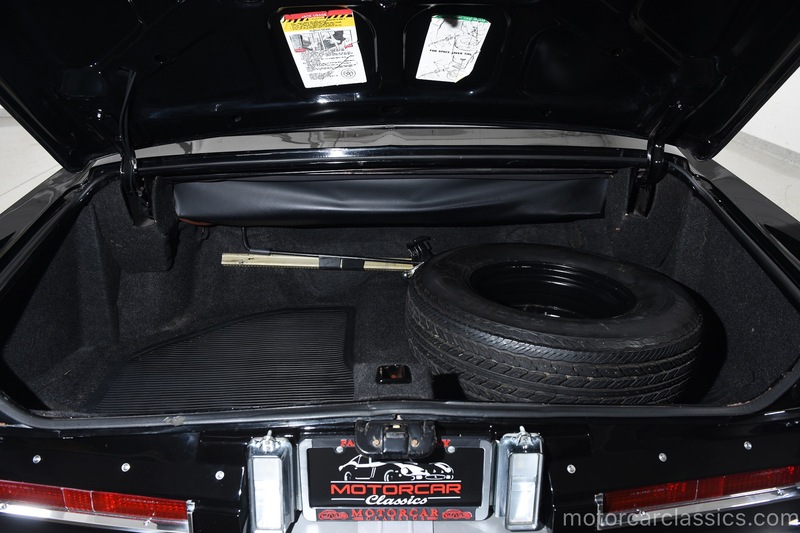 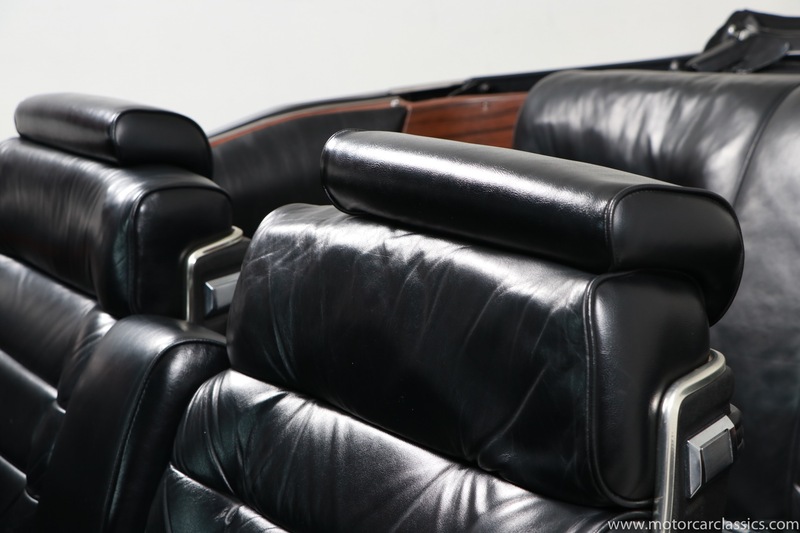 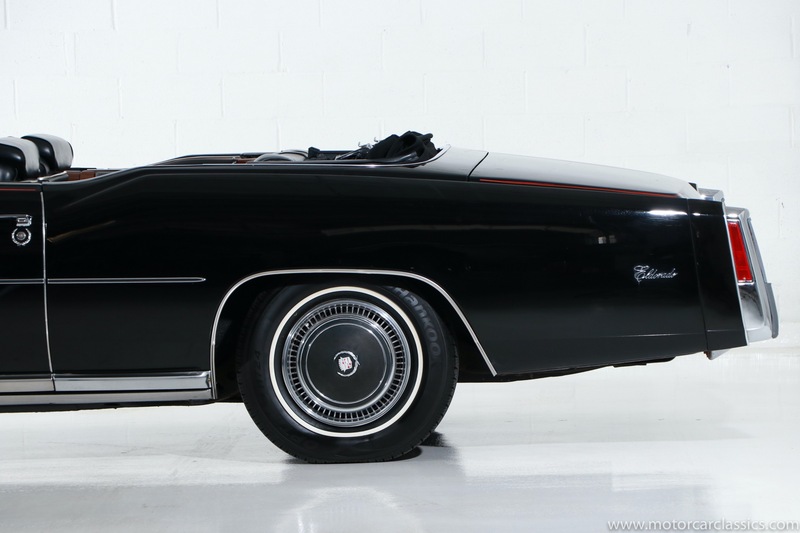 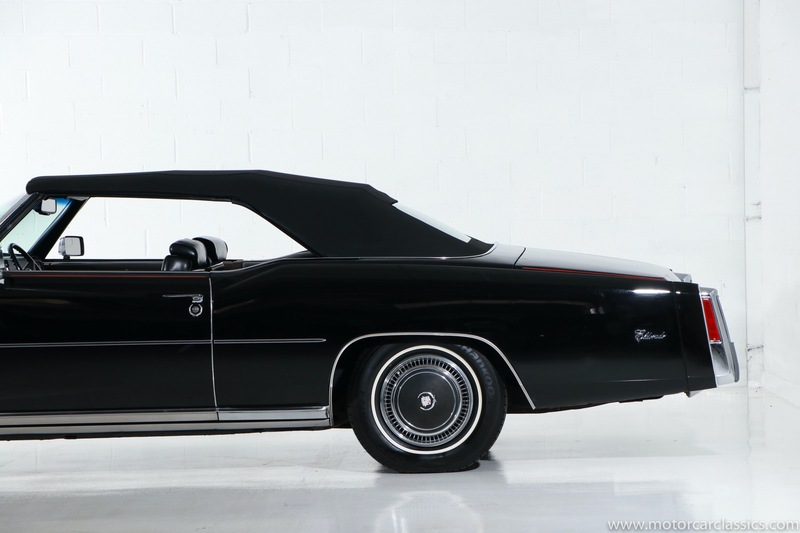 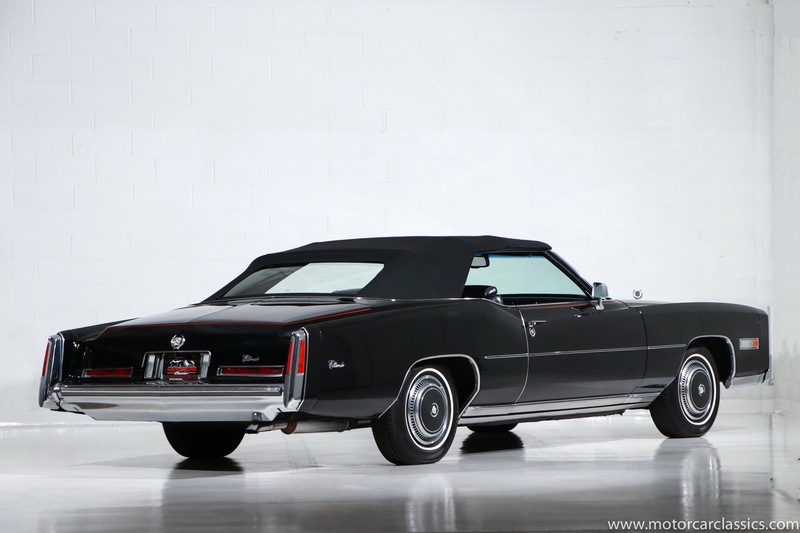 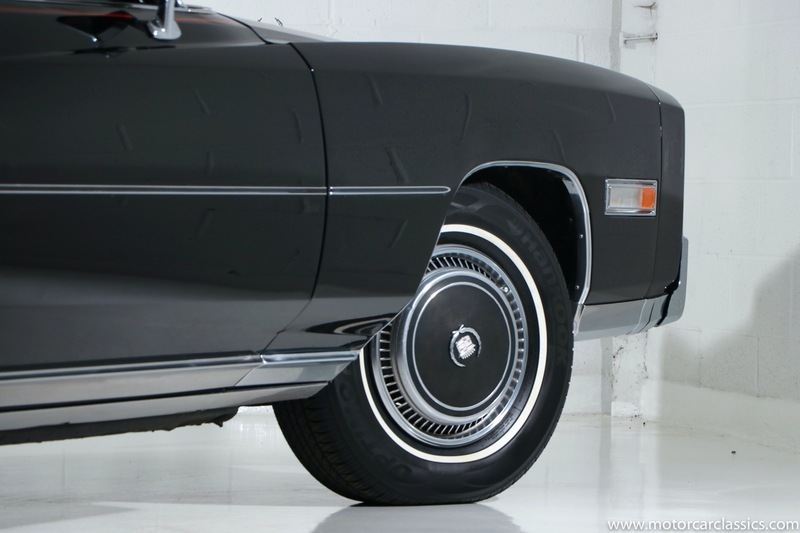 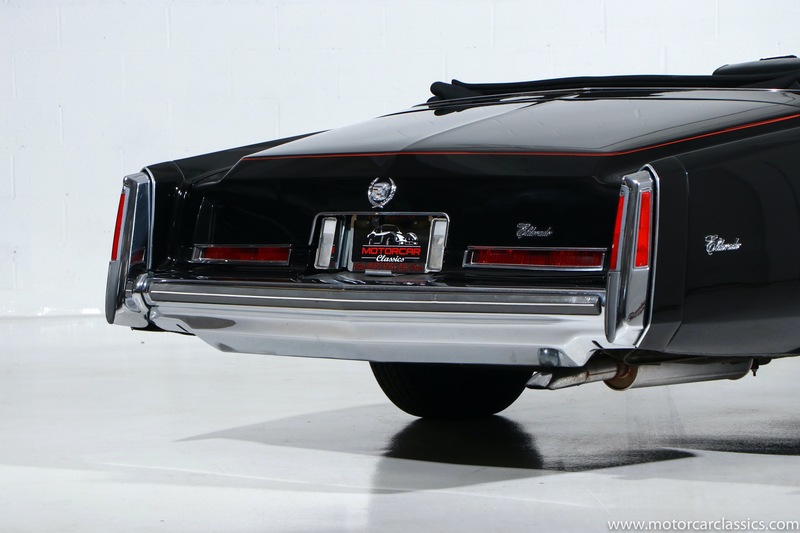 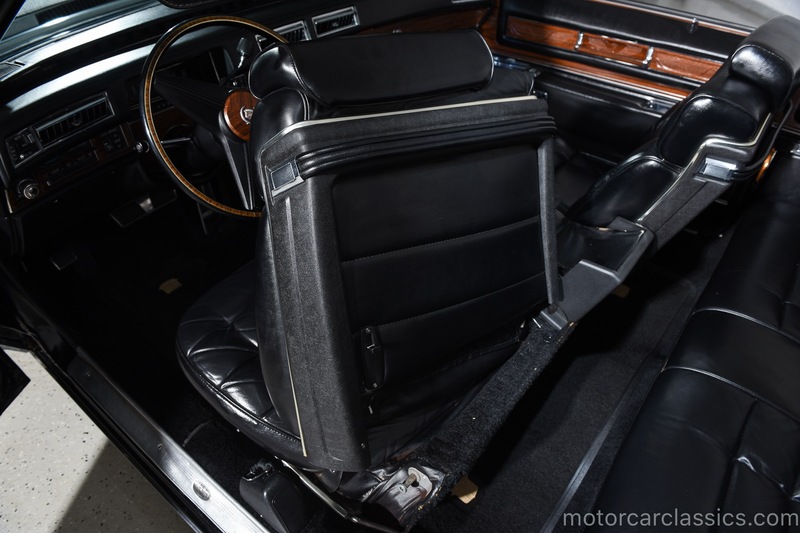 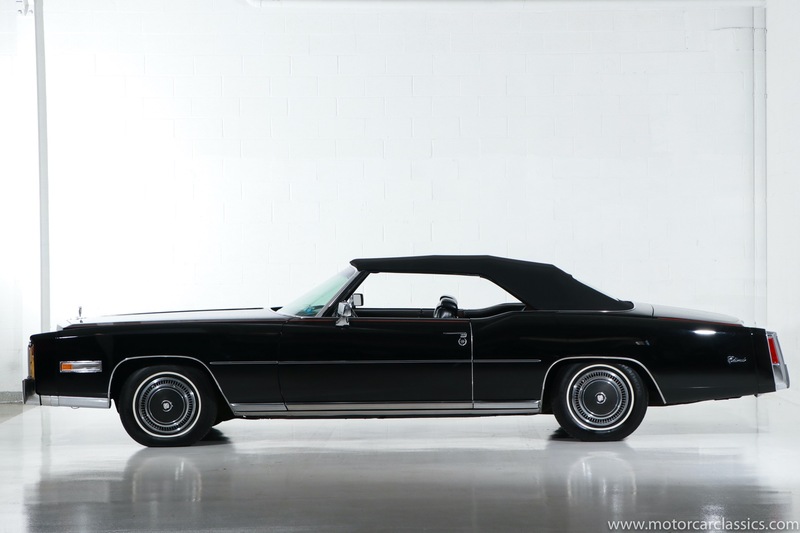 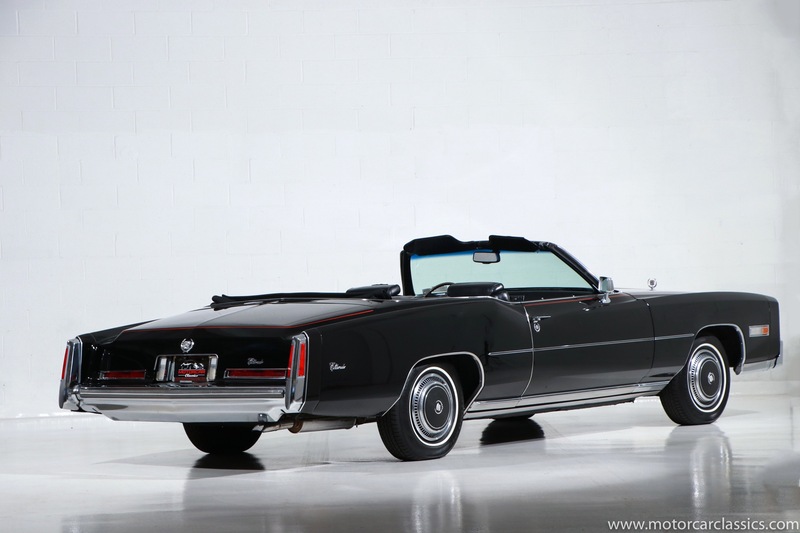 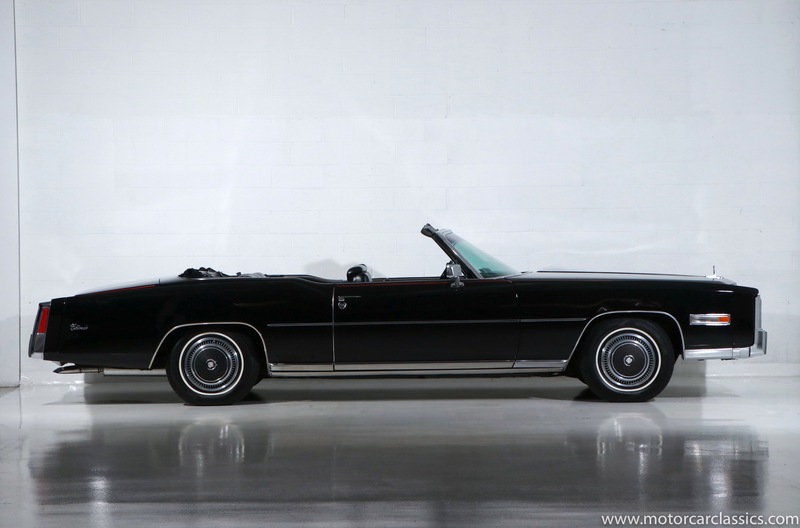 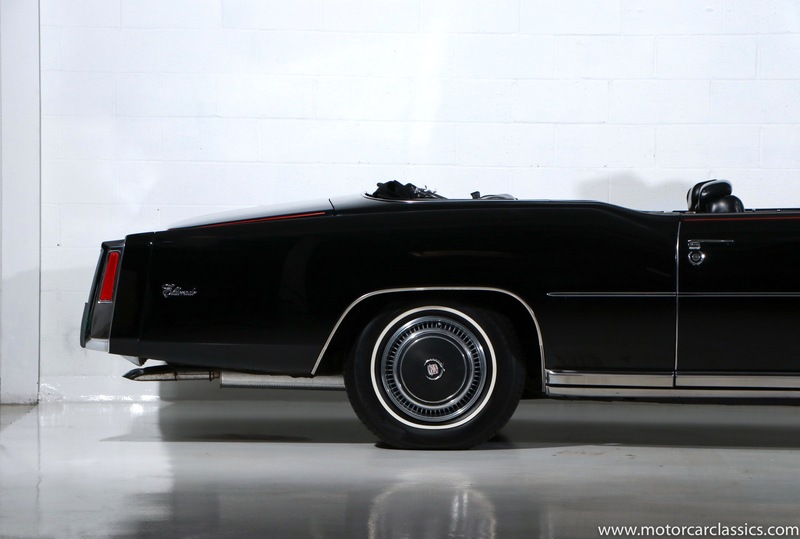 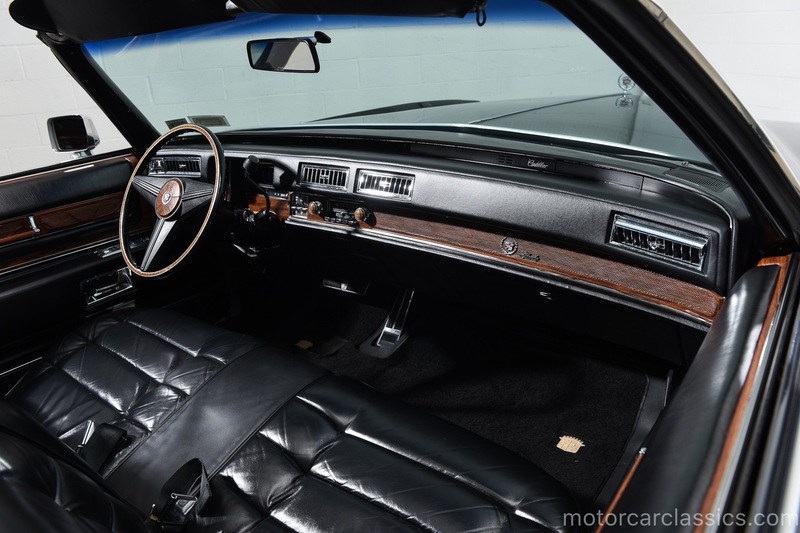 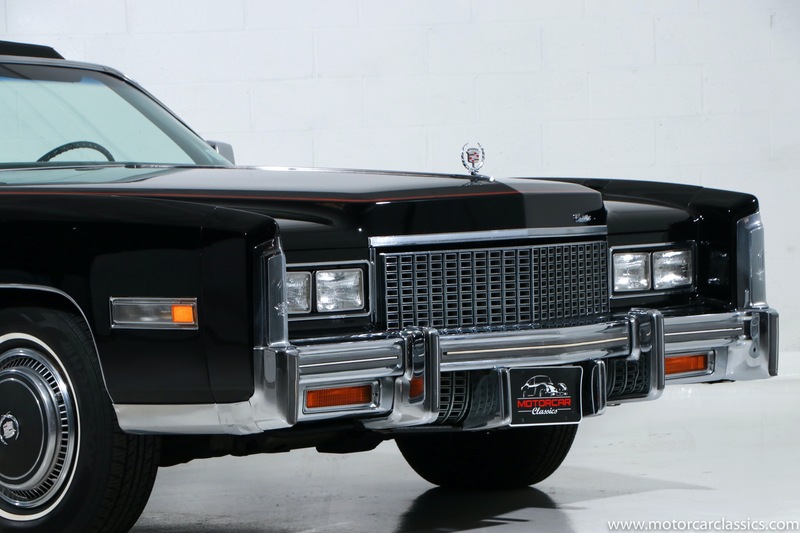 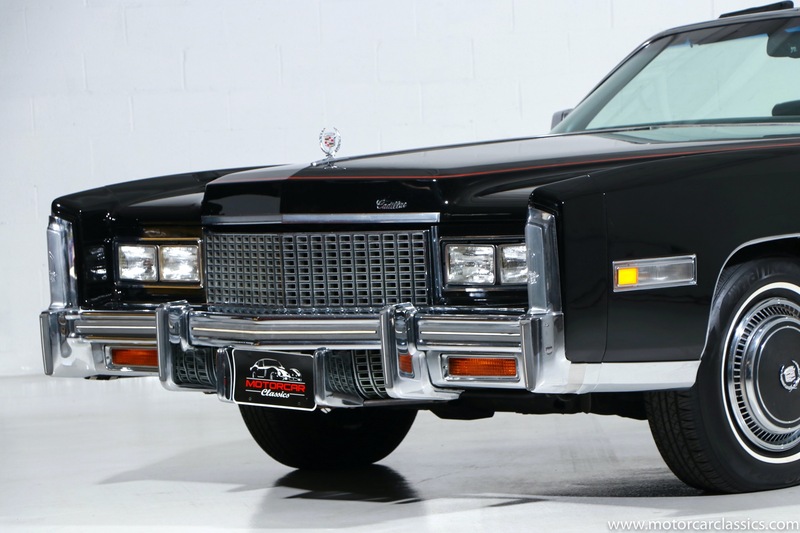 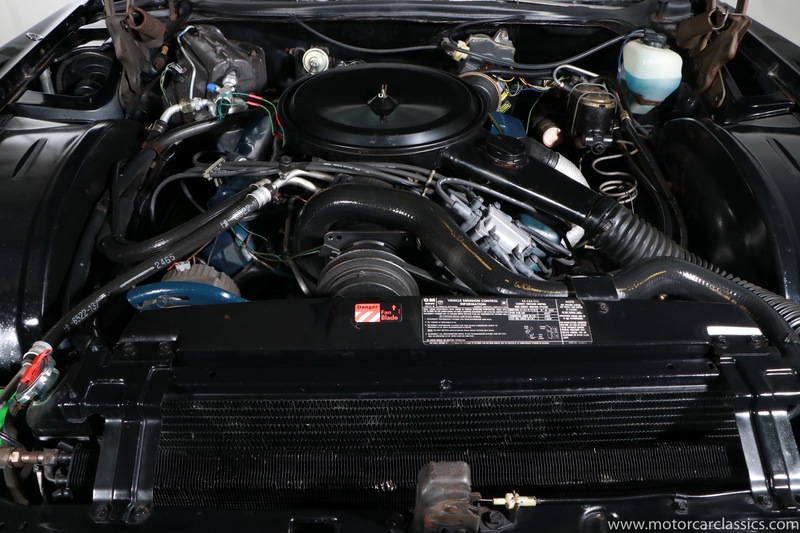 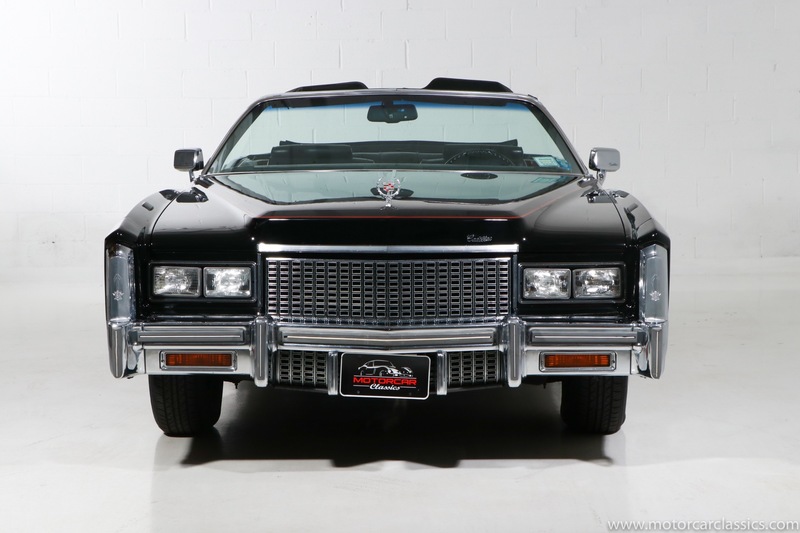 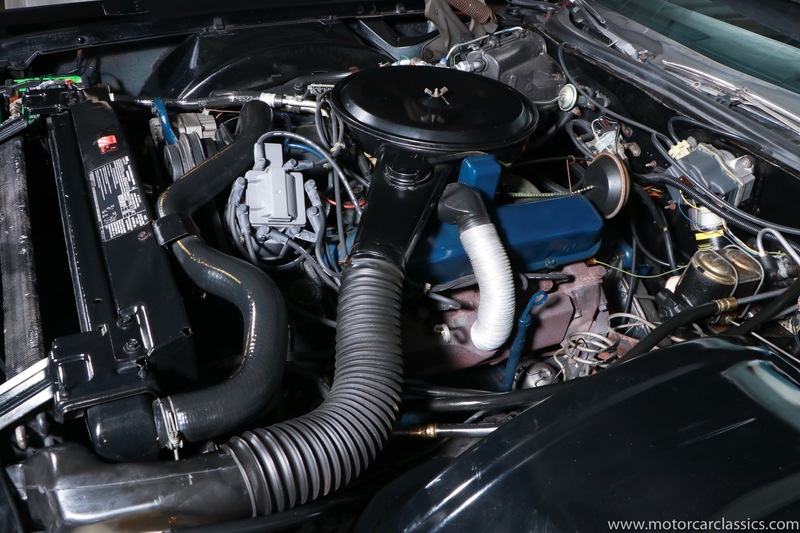 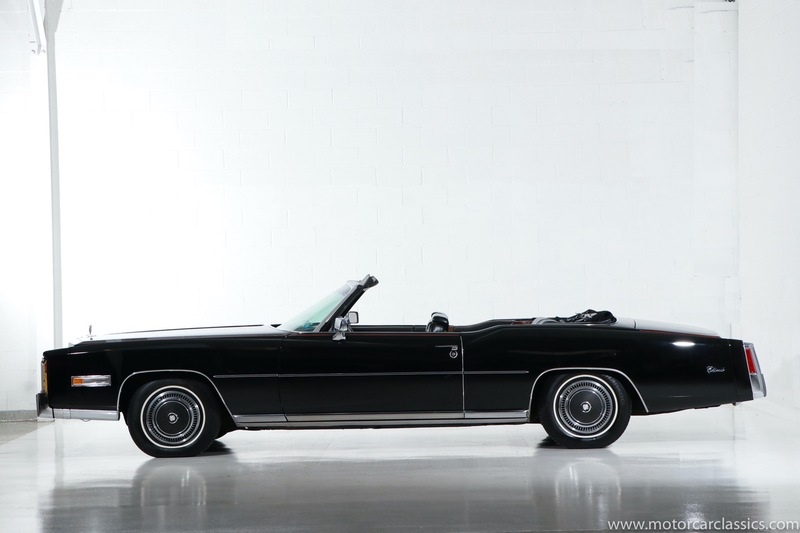 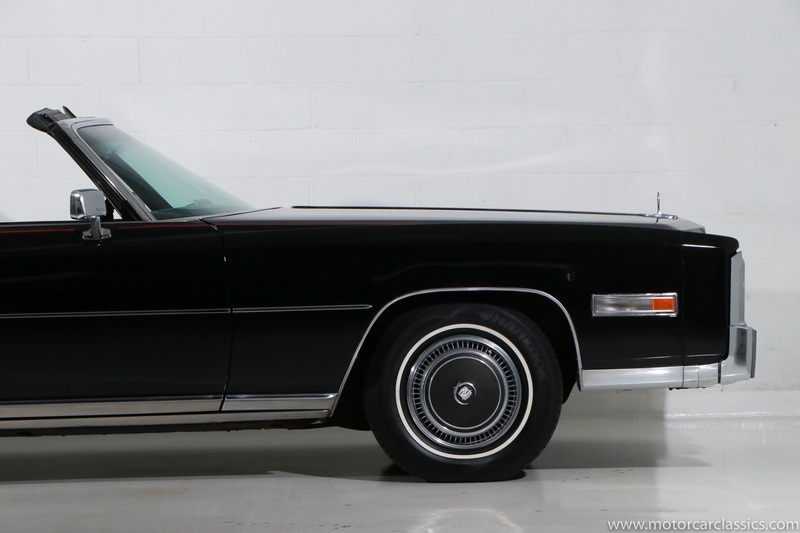 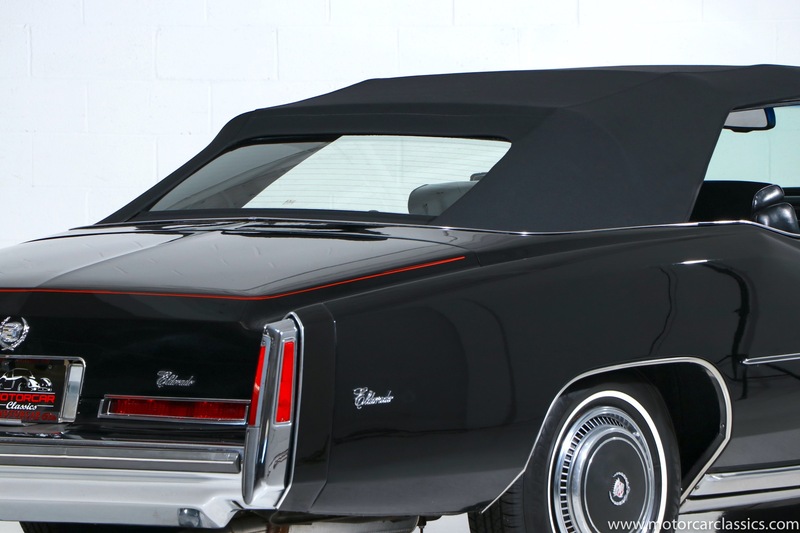 Motorcar Classics is excited to present this stunning brilliantly original 1976 Cadillac Eldorado Convertible featured in very rare black with matching black leather and convertible top. 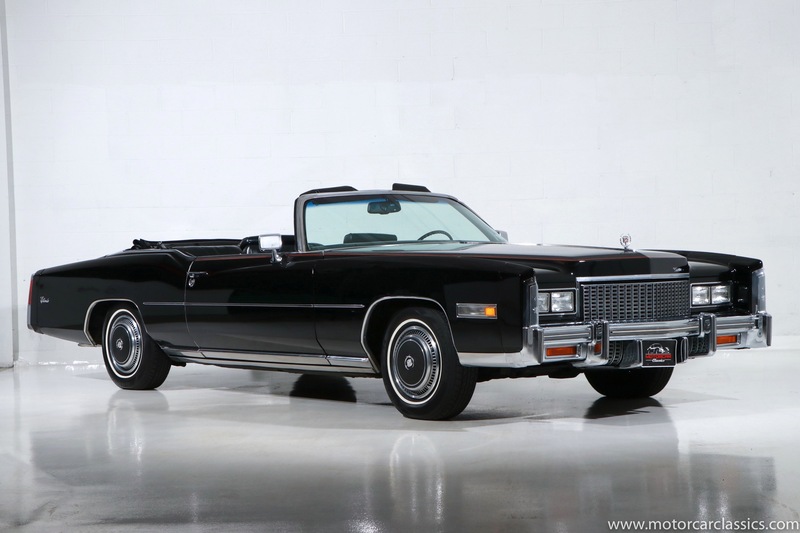 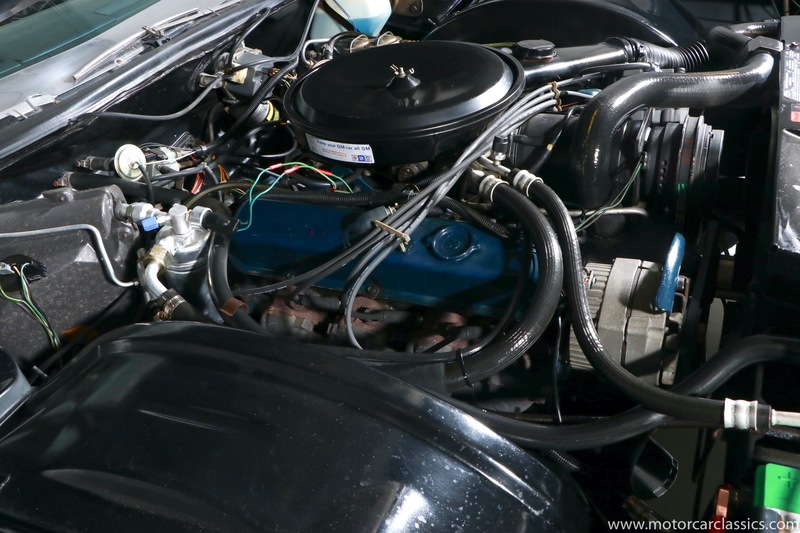 The 1976 Eldorado convertible was billed as Americas last convertible, making it an instant collectible, but ultimately the claim was to prove false as American convertibles were reintroduced in the 1980s. 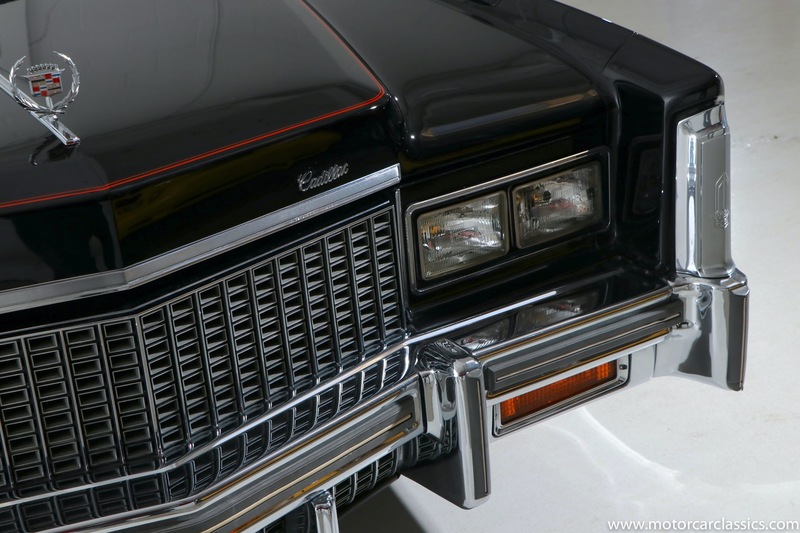 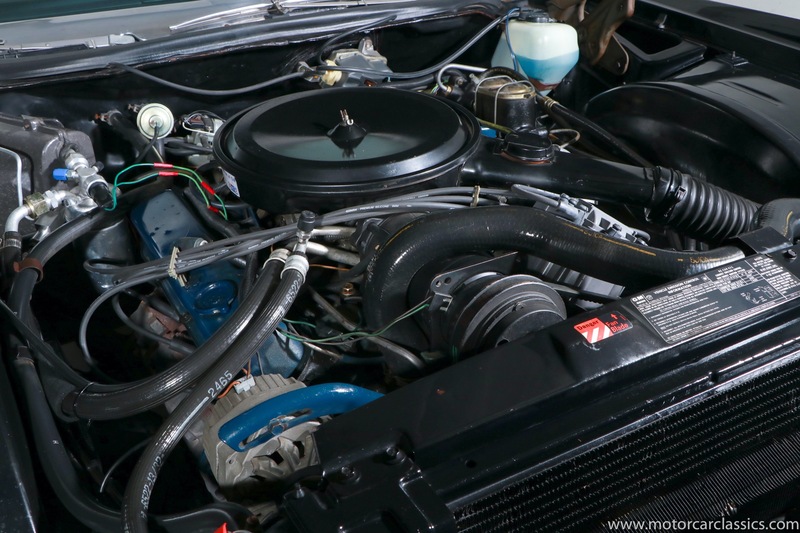 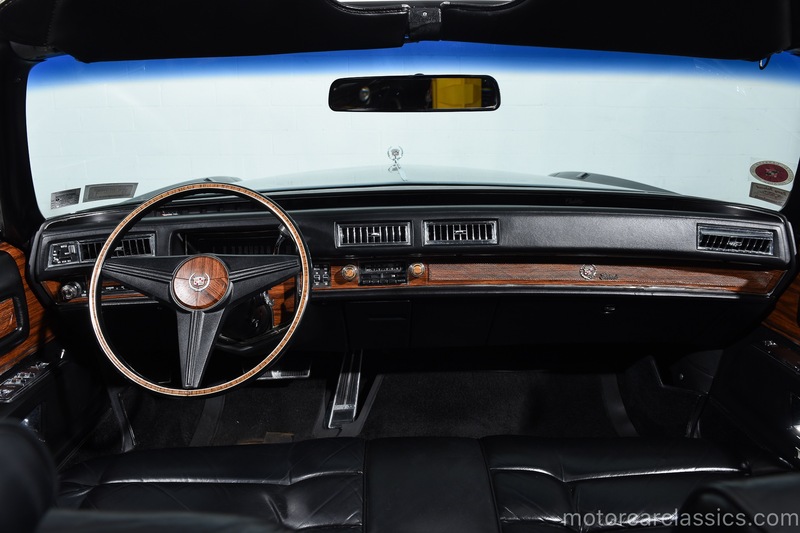 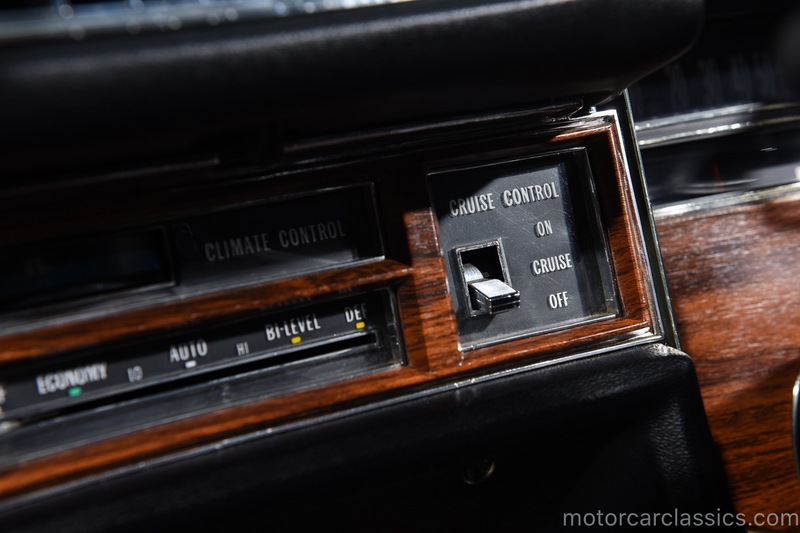 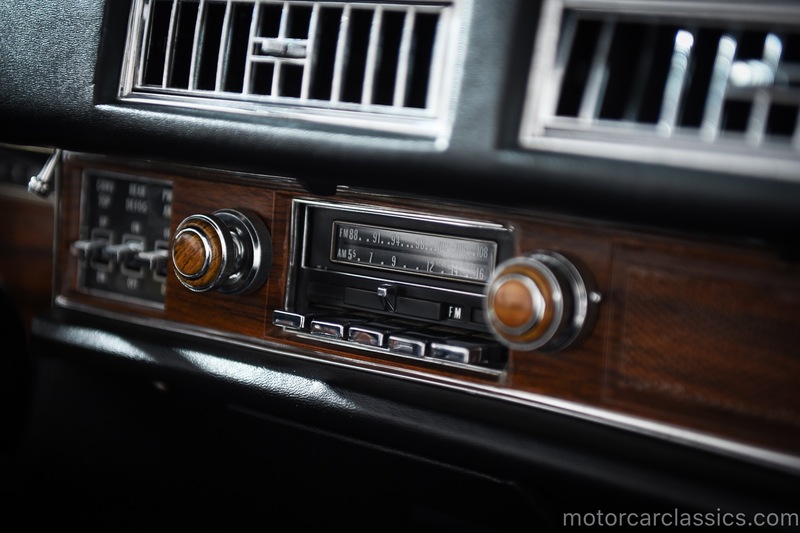 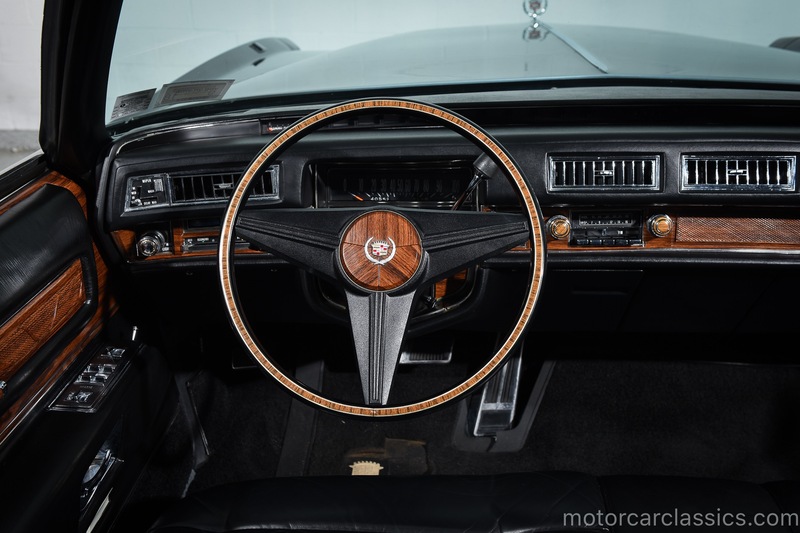 That does not diminish the fact that the 1976 Eldorado is a very special car powered by Cadillacs 500 CI V8 with front-wheel drive. 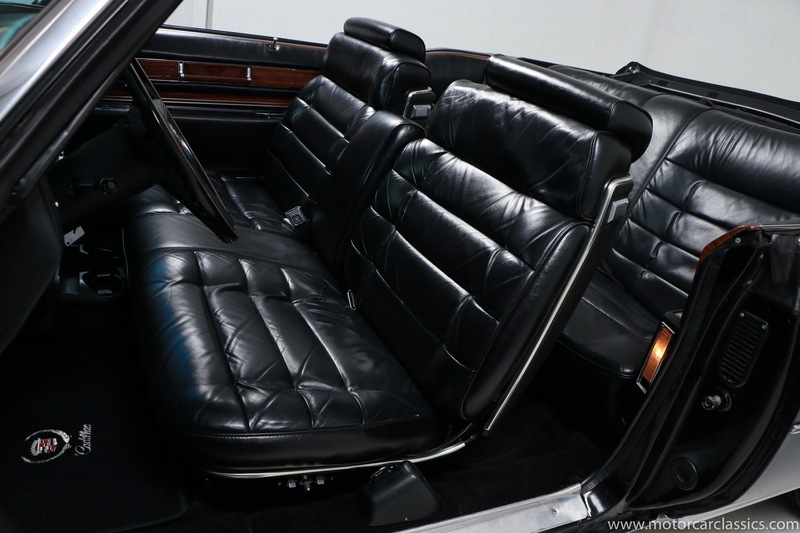 Our car is in the very rare triple black color combination and it has covered just over 40,000 miles. 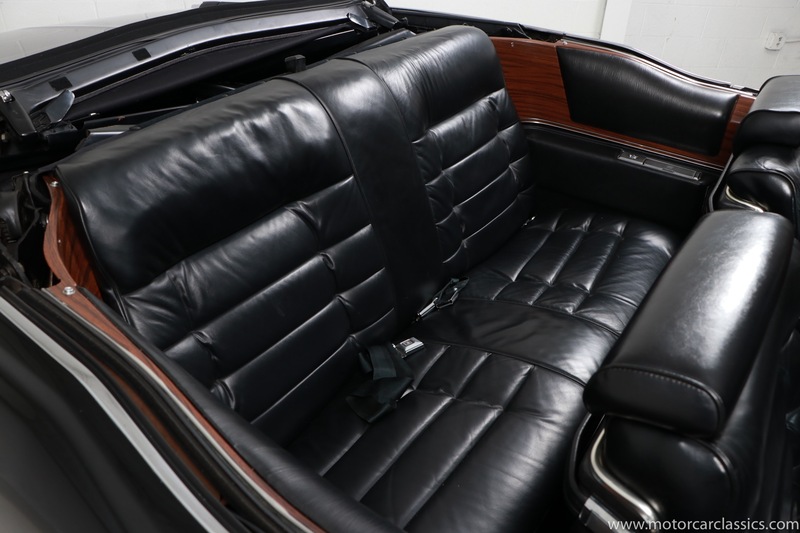 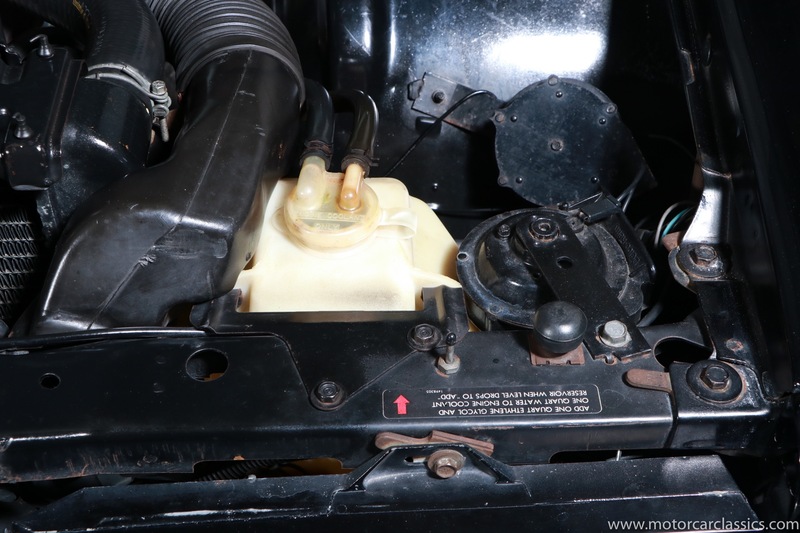 The paint and interior are factory original and immaculate. 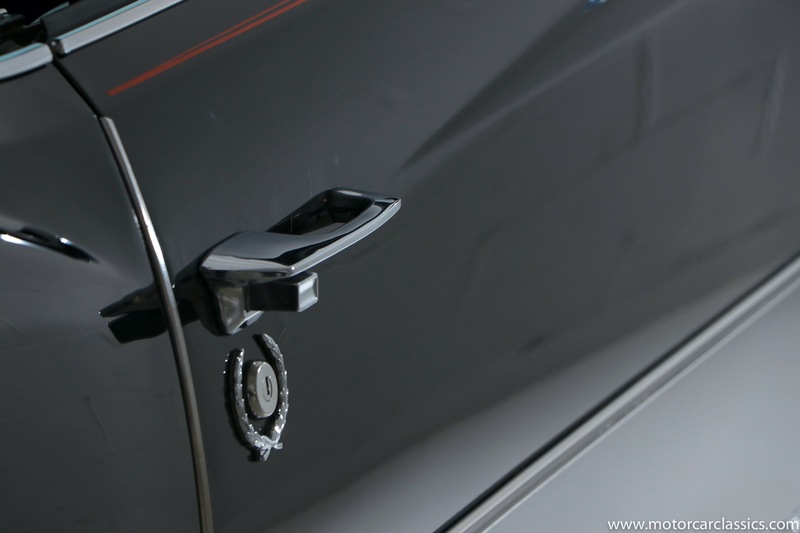 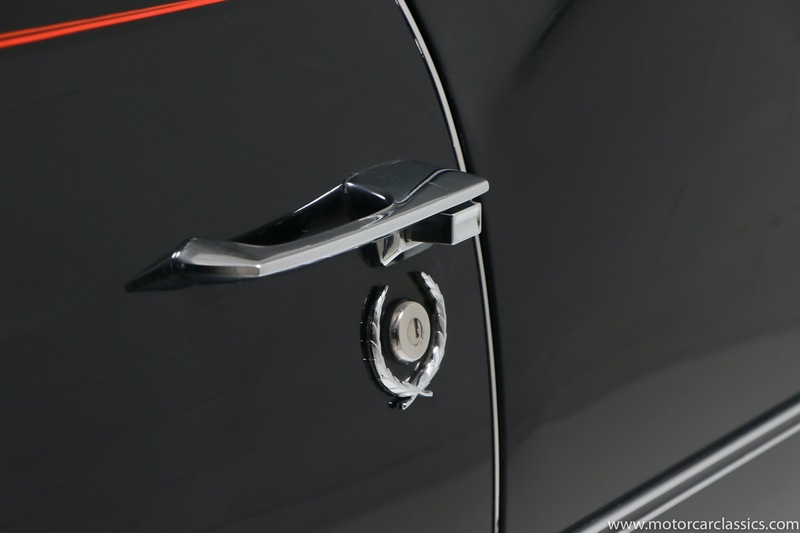 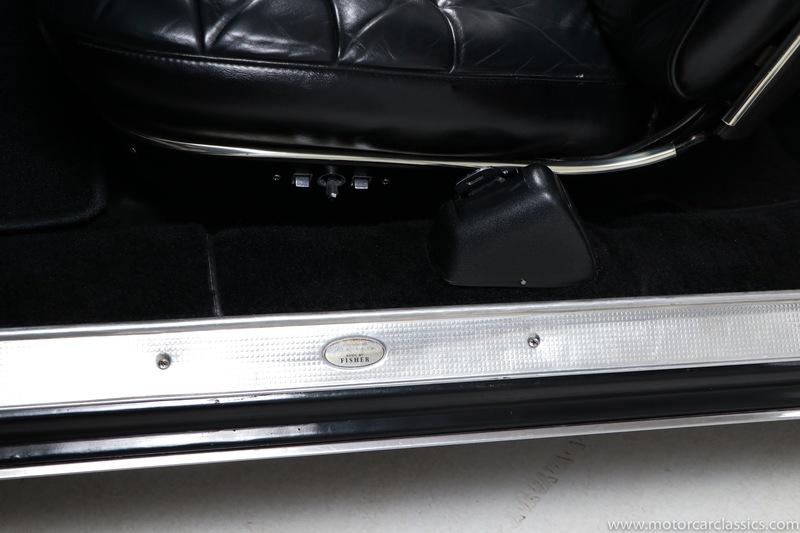 Only the fender end caps, which typically deteriorate, have been replaced. 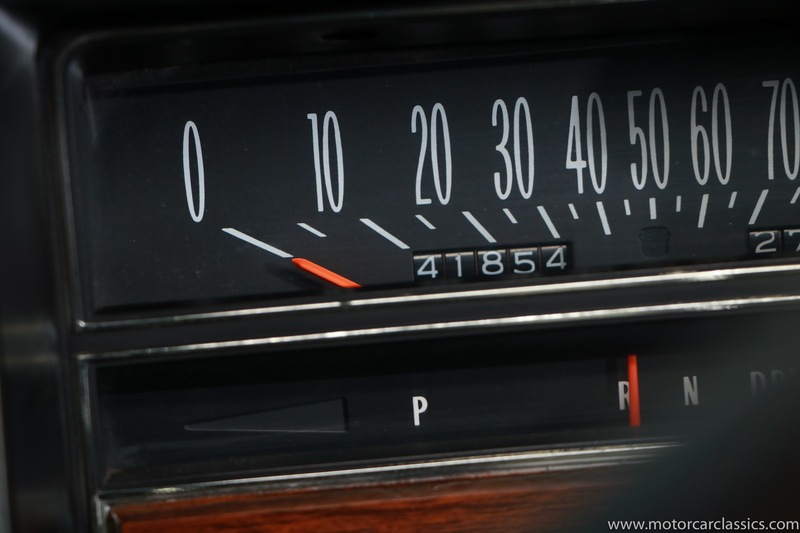 Everything works properly and the car has an incredible presence on the road.